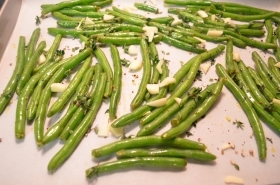 Have you made Aromatic Cannellini Beans? 1. Rinse the beans in a colander and pick out any stones, debris, or funky-looking beans. 2. 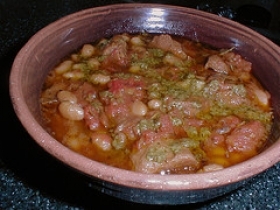 Place the beans in a large bowl and add cold water to cover by 2 inches. 3. Let soak for 8-12 hours. 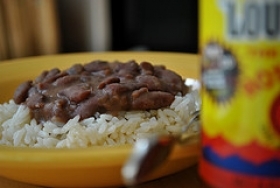 OR: quick-soak by placing the picked-over beans in a large saucepan and cover by 1-2 inches of water. 4. 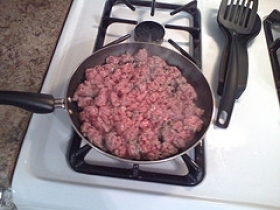 Bring to a boil, cover and remove from heat; let stand for 1 hour. 5. 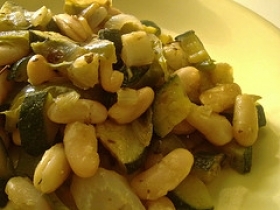 OR: Use fresh cannellini beans, cooking with vegetables just until tender, 20-25 minutes. 6. 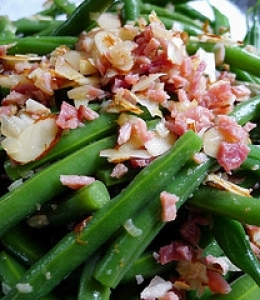 Combine the beans, celery, onion, garlic, thyme and the 2 quarts water in a larage pot. 7. 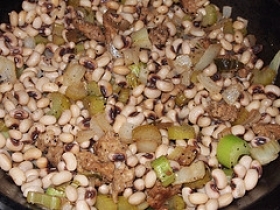 Bring to a boil, cover reduce heat and simmer until the beans are tender but notmushy, about 1 hour. 8. Drain well, season with salt. Store in an airtight container in the refrigerator. Yields about 8 cups cooked beans. 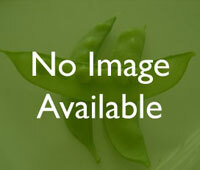 This recipe contains potential food allergens and will effect people with Beans, Garlic, Celery, Onion allergies.